This week has been an emotional roller coaster for me to say the least. As I prepare to write my experiences, I hesitate because when discussing matters of the heart they are so personal, and I have a personal rule for disclosing anything that I may regret at some point down the road. The more I ponder this subject, the less I feel concerned because my experience is very similar to so many others and what I am facing is a crossroads. Either I can stay stuck in my safe little space where I have everything “under control,” or I can actually head down the path where things don’t feel as certain, but have potential to bring so much more joy and so much more pain. I am one of those people with an extremely tender heart. As I grew, I learned that not everyone would respect or give that the reverence and tenderness it deserves. I built up a fort around my heart to keep it safe, but while doing that I also found that my heart still broke inside because with that fort protecting it, it didn’t let anyone in close enough to experience the deep intimacy that I desired. When the Universe moves upon you–when God moves upon you and tells you in your heart that it is time to break down that fort–that it is time to gently dismantle that structure piece-by-piece, a scary, wonderful thing begins to happen. As I mentioned in my previous entry, I am in the process of opening my heart. I am working on this on several different levels and as I do gentle hints and some not so gentle hints have arrived to aid my process. What I mean by not so gentle hints are unresolved pains from the past–things not thought of for many years. As I began my work a childhood best friend that I hadn’t spoken to in decades got back in touch with me. Along with her friendship request, a feeling of uncertainty and fear swept over me and I realized after pondering that those were long buried feelings, not at all my point of view today. The friendship did not end well and, in fact, had caused me deep pain and depression as a child. Enough so that I moved schools for a new start by 6th grade. All those buried feelings of not being able to trust my inner most secrets or feelings with others came bubbling up again and I realized that this is a paradigm I have been living in ever since. I do still feel that I will be careful with my most intimate experiences and feelings, but not so much that I keep everyone out. I am so grateful that she showed up this week! I was able to forgive her completely and more importantly myself. Along with that, I also gained insight into a personal behavior/belief that no longer serves me. I am able to become responsible for my part in the past. The behaviors that I had that were not loyal, that were not respectful, that were not in compassion for the tender hearts of others. I am able to release it all–to be brave once again. As I peel away these layers of the past, I am able to live a fuller, more abundant life feeling love in my present relationships and releasing others from their actions, but more importantly, releasing myself from things about myself which I felt were unforgivable. 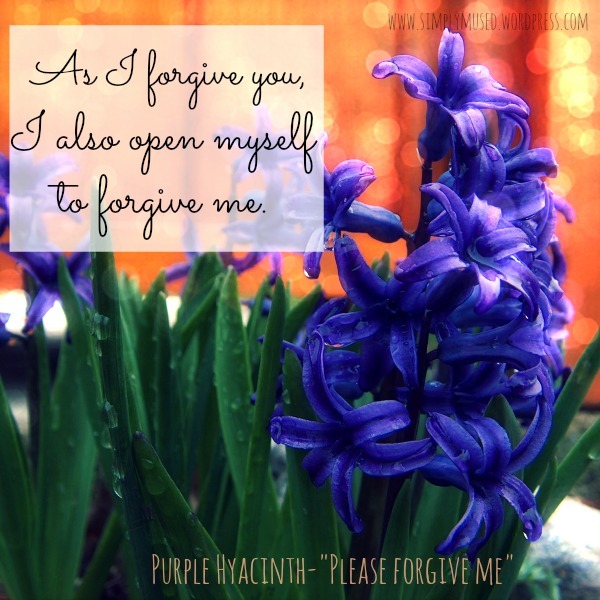 This entry was posted in Uncategorized and tagged forgiveness, heart, love, relationships, self-forgiveness. Bookmark the permalink. A beautiful post, Michelle – I can see that this wound has come full circle to closure. Congratulations! I’m so glad you decided to write about your experience Michelle, your blog is inspiring for many to reflect on the nature of our limiting self beliefs which no longer serve us. An excellent blog, and so beautifully written!